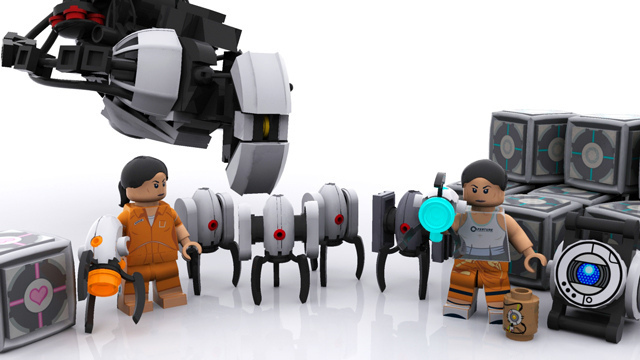 An effort to turn Portal 2 into a real-life Lego set is looking for help. Are you familiar with Lego Cuusoo? It's kind of like Thunderdome for small plastic bricks, except that instead of two minifigs entering and one minifig leaving, budding Lego designers submit their ideas to the site to be voted on by the public. Cuusoo projects with at least 10,000 supporters are reviewed by Lego on a quarterly basis, with those passing muster having a chance to become official Lego products. 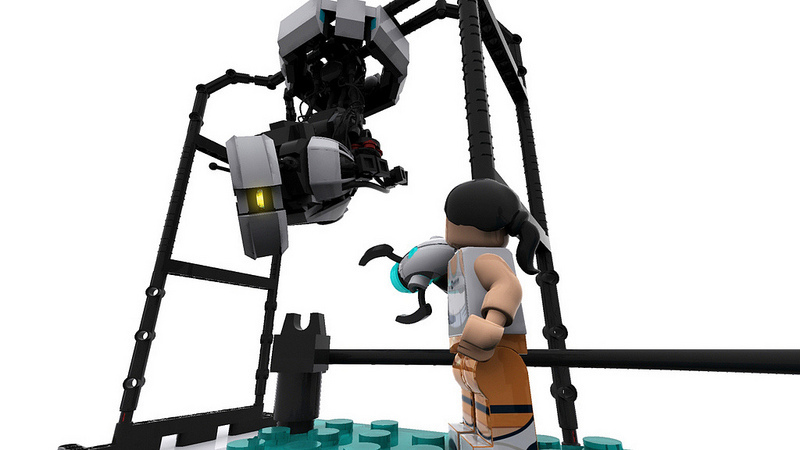 That's how the Minecraft Lego ball got rolling, and now a four-man team of Lego fans is hoping that its Portal 2 concept will have the same sort of luck. 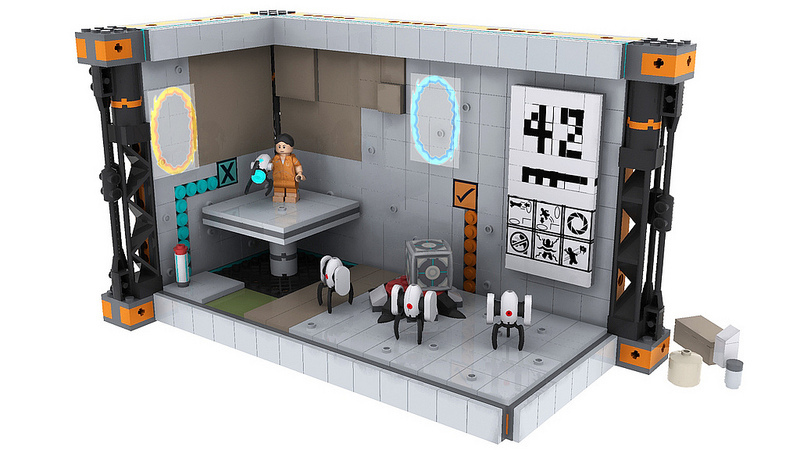 The Portal 2 Lego Cuusoo project features a GlaDOS Chamber set, complete with Chell and Wheatley minifigs, a potato and a fully-articulated GlaDOS, a configurable Modular Testing Chamber with three Sentry Turret minifigs and a hidden Ratman chamber, and the Portal Puzzle Board Game, which brings the challenge of solving Portal test chambers into the real world. 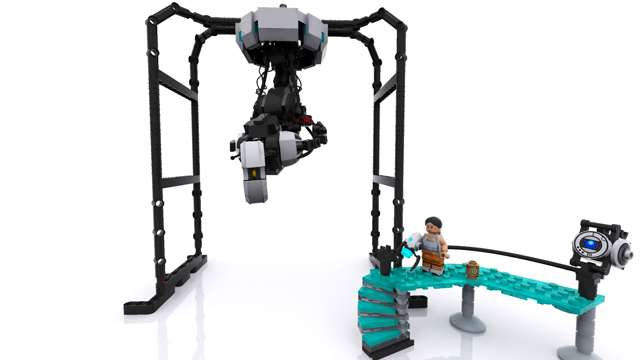 The concepts for all three sets are great, particularly the turret minifigs, which look like they'd be worth the price of admission all by themselves. 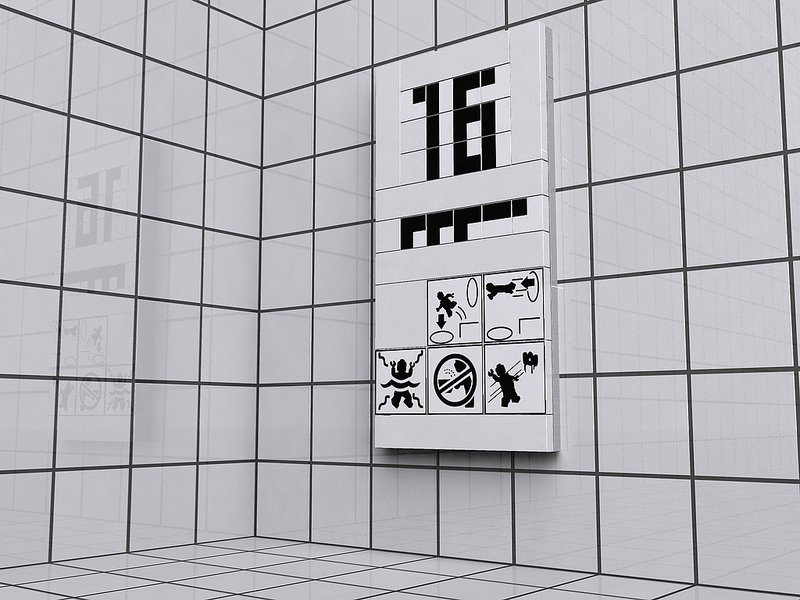 The idea was originally rejected by the Lego people because it's based on an FPS, which presumably violates the company's insistence that all sets, regardless of their intended "age target," must also be suitable for its core audience of children aged 6 to 11. But after a more thorough review of the material, minds were changed and the project was allowed to be put up for consideration. 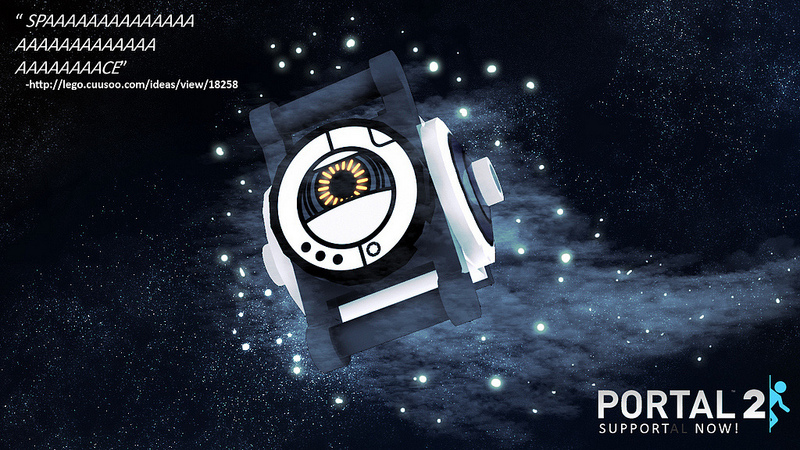 It even earned a very Portal-like official congratulations from Lego for achieving 5000 supporters - half of the required total - in just a couple of days. 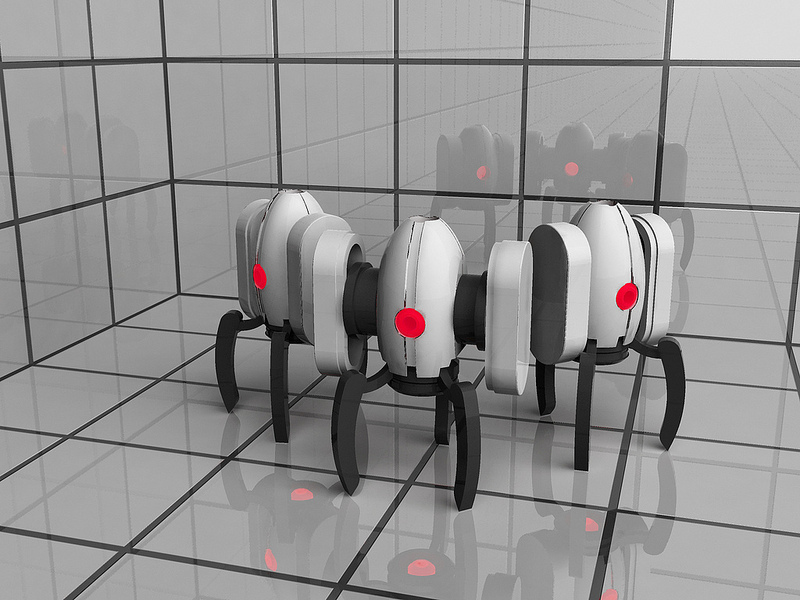 "You did a wonderful job of capturing the Portal environment and characters with your renderings in this project. 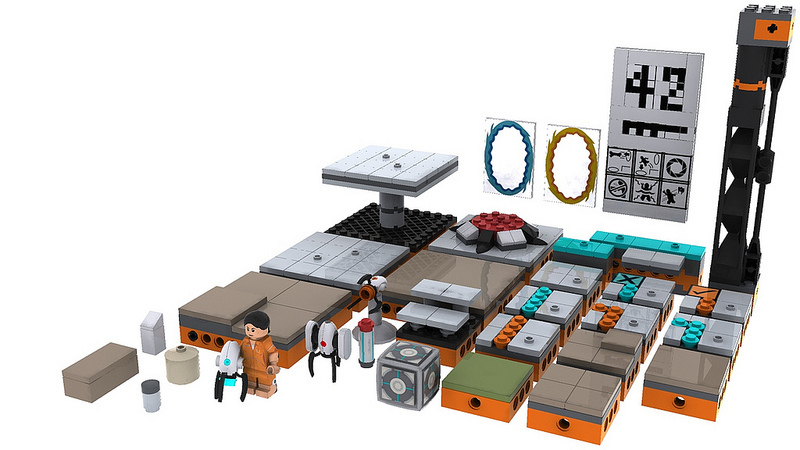 We also like how you have presented several possible concepts for sets that capture the essence of the game," Lego wrote. "Note that as a part of our move to streamline the review process, we will not be producing concept models for projects before the review. However, at that time we will serve cake." 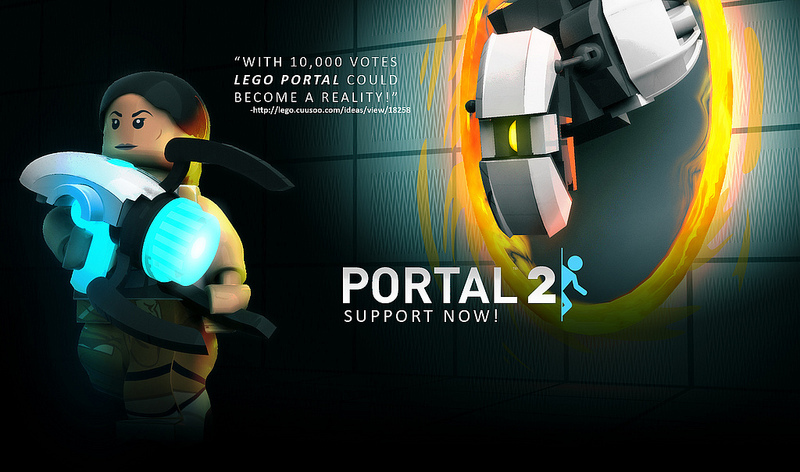 Hitting 10,000 supporters is all but inevitable, but that's no guarantee that the Portal 2 Lego set will be put into production. A Firefly design on Cuusoo hit the magic mark in May but Lego, despite calling it "a beautiful model and a skilled rendition of the beloved Serenity," took a pass because the source material isn't appropriate for kids. That probably doesn't bode well for the odds of this thing actually happening but if you'd like to throw your weight behind it anyway, you can give it some love at lego.cuusoo.com. Thanks to Arkov for the tip.